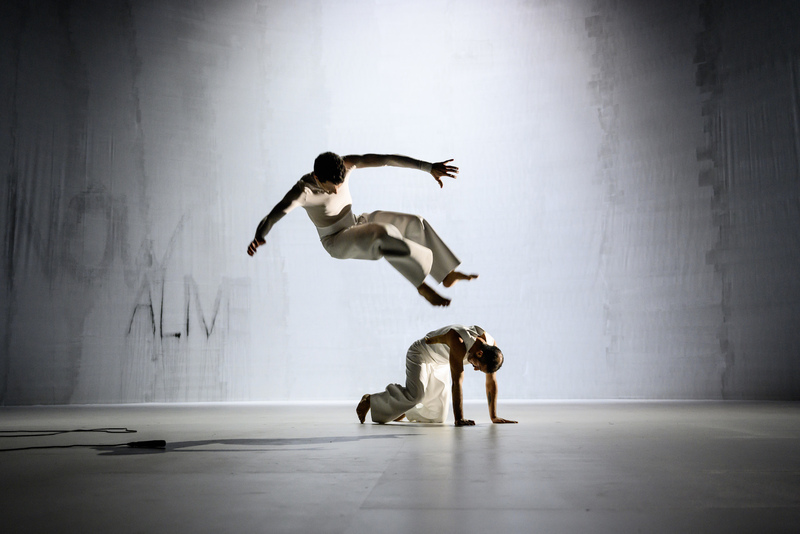 On 7th March 2019 Sasha Waltz & Guests’ new project »rauschen« will have its world premiere at the Volksbühne Berlin with further performances from March 8th through 10th and April 25th through 28th. Ticket sales for the April-performances start on March 1st – online www.volksbuehne.berlin or via telephone +49 (0)30 240 65 777. In her new project Sasha Waltz deals with a society which, within the sceneries of its perfect living spaces, has lost sight of the world. Through states of groundlessness, the choreography with 12 dancers drifts into a revelatory process. Light designer David Finn, who has worked with Sasha Waltz in particular for her great opera productions, infuses a completely white stage with his vivid light spheres. The costumes will be designed by Bernd Skodzig whose creations have accompanied Sasha Waltz’ choreographic work for many years. »rauschen« is our first coproduction with the Volksbühne Berlin. On the weekend before the world premiere we will already show Sasha Waltz‘ legendary choreography »Allee der Kosmonauten« there, celebating its 150th performance on the 2nd. These are the first performances by Sasha Waltz & Guests at the Volksbühne Berlin since 1998 (»Travelogue«-trilogy). A production by Sasha Waltz & Guests in co-production with the Volksbühne Berlin.